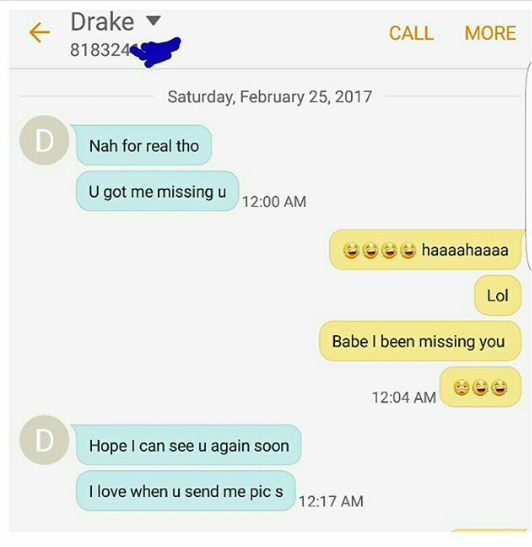 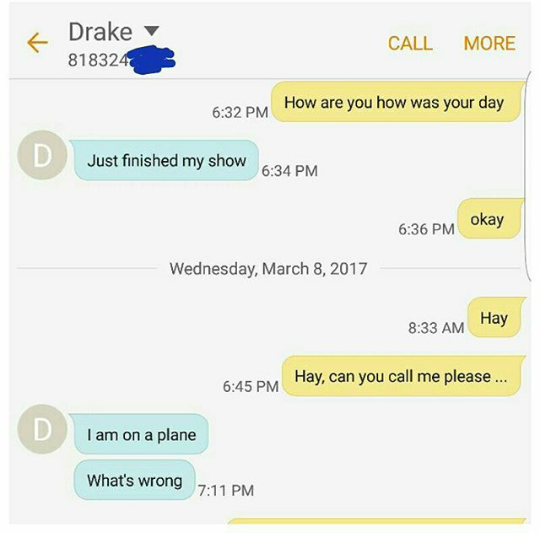 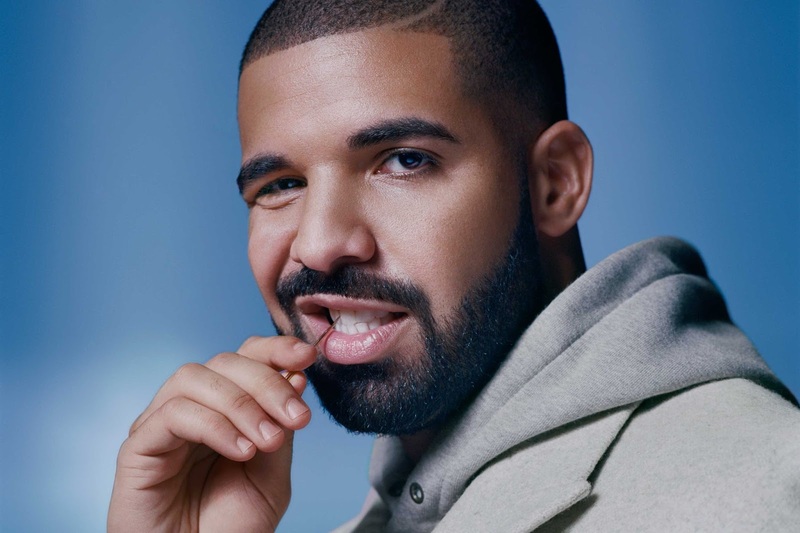 Former stripper and video vixen Layla Lace is claiming that rapper Drake got her pregnant and stopped picking her calls when she informed him that she was pregnant. 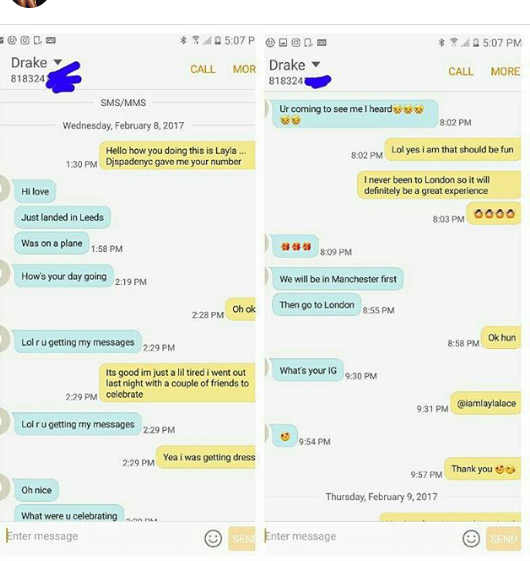 She claims they first met when Drake was in London and their meet was arranged by DJ Spade. 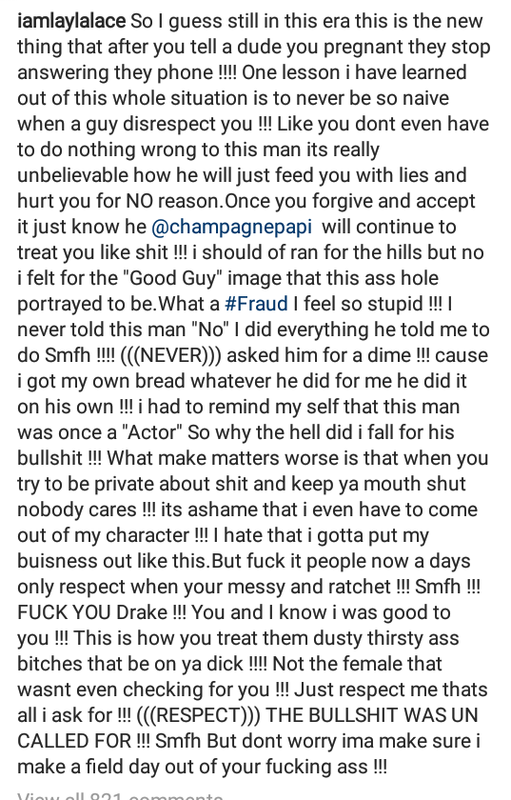 She not just called out Drake but also showed receipts to back up her claims on what went down. 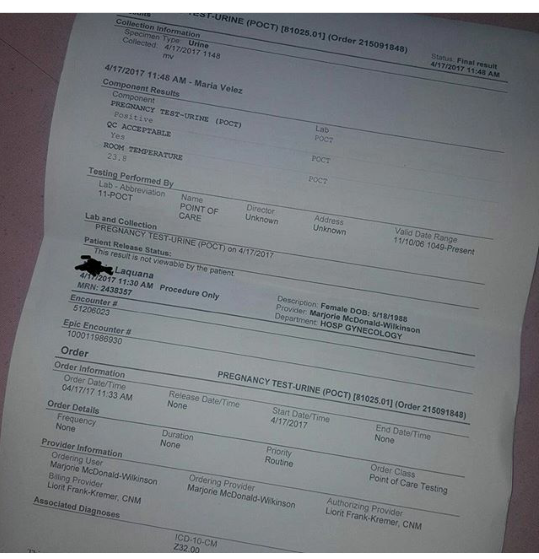 She shared her pregnancy result and screenshots of their alleged chats.Read more after the cut..